Boston is well known for its rich history, competitive sports teams, and acclaimed universities. None of which is exactly fodder for a girls’ getaway destination! But as a resident of Boston, I know another side to the city—a more feminine side. From luxury hotels, delectable restaurants, enjoyable day activities, and fun nights on the town, Boston is a perfect girls’ getaway destination. All girls deserve a dose of luxury from time to time. Upscale Boston hotels are just the place to find it! The big name, heavy hitters include the Taj Boston, Four Seasons, and Ritz Carlton—all located near the picturesque Boston Common Park. There are luxurious Beacon Hill boutique hotels too, such as the posh XV Beacon Hotel or the trendy Liberty Hotel. All are bastions of comfort with distinguished service, spacious rooms, and exceptional dining options. If costs are a bit too high, consider sharing rooms. These exclusive hotels are well worth the price tags! There are a variety of ways to keep off the pounds while in Boston. From conventional gyms, outdoor running and kayaking, to yoga studios, there is no reason to forgo a workout. If the weather is nice, head outdoors for a run along the Charles River. The running path is flat, well-paved, and scenic. Yogis should schedule a class at Boston’s Health Yoga Life. Located in Beacon Hill, Health Yoga Life consistently ranks as one of Boston’s best yoga studios. Most classes are heated, so it’s a sweaty affair and one heck of a workout! Combine running and yoga and you may just shed a pound or two on your girls’ getaway weekend. You’ll surely have fun doing so too. After laboring through a workout, head to one of Boston’s acclaimed brunch spots. Though there are many, three take the cake (at least in my book!). Take a taxi to the South End for Toro, a Barcelona-style tapas restaurant that may just serve the tastiest food in the entire city. With brunch entrees such as crispy pork hash with eggs, griddled banana bread, and succulent roasted bone marrow, the trickiest part is choosing just one thing to order. Church restaurant is another unique spot where comfort food and live rock n’ roll music merge to create a lively (and, tasty!) brunch experience. Fill up on a few childhood favorites such as baked mac & cheese and grilled cheese and tomato soup. The restaurant is located within easy walking distance to Fenway Park, and a dual brunch/Red Sox baseball game is highly advised! For Sunday Brunch, cross the bridge to Cambridge and meander your way to East Coast Grill. The restaurant vibe is casual, the service friendly, and the seafood centric menu will leave you raving for months. After brunch, do a walking tour of Cambridge including leafy, prestigious Harvard and MIT Universities. Both have an ample number of cafes and pretty parks to relax over an espresso too. While Boston’s shopping scene may not beat New York’s, it’s pretty darn good. 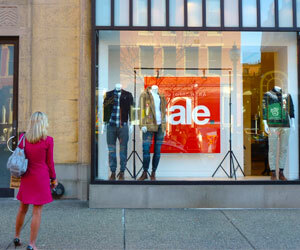 Most shopping aficionados head to Newbury Street, an eight-block stretch of shops located in Boston’s Back Bay neighborhood. There are stores for everyone ranging from high-end fashion powerhouses such as Chanel and Marc Jacobs to trendy teeny-bop Forever 21. Beacon Hill’s Charles Street also has several noteworthy shops, including my favorite artisan chocolate shop. Serving delectable truffles with a variety of toppings and fillings, Beacon Hill Chocolates may just be the best sweet spot in the city. Continue on the Sweet Lovers’ Express to Boston’s North End for delectable, traditional Italian bakeries and pastry shops. After eating scrumptious cannolis to your heart’s content, wander around the bustling North End neighborhood for a dose of Italian-American culture, colorful tourist shops, and even a few historical sites. In Boston, everyone adores the local sports teams. Old, young, rich, poor, men, or women—it doesn’t matter, the stadiums are always full. For tourists, there’s nowhere better to encounter a more authentic feel for the city than at a Boston sports event. While a Boston Red Sox or New England Patriots game may not be high on every girls’ getaway list, games are always fun, lively events and attendance should seriously be considered. Single gals may spot hunky eye candy too! 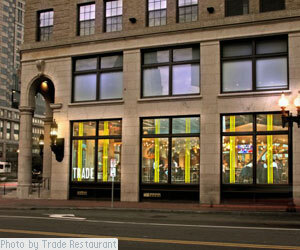 Choosing a dinner restaurant isn’t an easy task in Boston as options are seemingly endless. Boston Magazine puts out a great “Fifty Best Restaurants” list every year, and Yelp.com is helpful too. For one of the year’s best new restaurants, head to the modern and chic Trade Restaurant. The whole roasted fish is simply divine, and the traditional burger topped with pancetta is quite tasty too. For one of, if not THE, best raw bars in the city, grab a seat at Neptune Oyster where the oysters and other seafood dishes literally melt in your mouth. It’s no surprise that Boston has a hearty beer bar presence—so strong in fact that you’ll encounter neighborhood bars, sports bars, and dive bars on the majority of the city’s blocks. There are more than just beer bars though—for wine, beeline to Cambridge’s Belly Wine Bar or Beacon Hill’s Bin 26 Enoteca. Or if cocktails sound more enticing, the Liberty Hotel’s indoor Alibi or outdoor Yard bars serve delectable drinks. For a more comprehensive bar and club list, check out Boston Improper’s Best Bars and Clubs list. 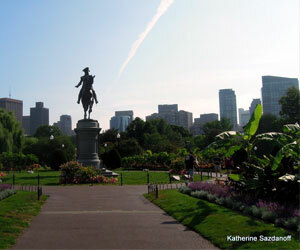 Guest contributor Katherine Sazdanoff is a freelance travel writer, photographer, and resident of one of America’s finest cities, Boston. Though she has been to many girls’ getaway destinations, she still considers Boston to be the best! To chronicle her wanderlust adventures, visit her website at www.katherinesazdanoff.com. I love Boston. It’s beautiful, exceptionally friendly, home to extraordinary universities and bookstores and an endless array of gorgeous walks – not to mention the fabulous spas and high end accommodation. I have to agree with you in that this is a perfect get away for anyone at anytime, though as a woman, admit that I love the history and academic aspects as much as the bliss of Newbury street followed by a girls nights in any of the restaurants or wine bars you recommended! To be closest to higher-end shopping and the majority of restaurants and bars, I would recommend staying in Back Bay over other areas of the city. If you plan to do a lot of walking I would avoid the Ritz sitting on the edge of Downtown Crossing and Chinatown as the area drops off quickly over there at night. At the Ritz price point, consider the Mandarin Oriental on Boylston St instead, very high end, safe, populated, extremely convenient. Another interesting option is the Inn at St Botolph, one block from the Prudential Center and Copley Place shopping destinations with a boutique residential feel and small kitchenettes if you don’t want to eat out for everything. I would second the recommendation of the restaurant Trade, just a phenomenal offering by Jody Adams. For a coffee/pastry break, also try the newer Flour on Clarendon Street in the Back Bay by Joanne Chang. For the cocktail set I would also recommend Drink, The Hawthorne and Eastern Standard. The on-demand and inexpensive black car service Uber has also taken off in Boston, a great way to get around within the city since distances are small.